Randeep Hooda’s who is doing Vishram Sawant’s next Shooter says that it is a very stylish and yet realistic conceptualized film. As the title suggest Randeep plays a shooter in the film. “It’s starts off as an underworld film. It’s about poor people based in Mumbai who turn criminals and how they become criminals who eventually end up doing something far more patriotic than any of us education rational thinking people with money would never dare to do. It’s larger than life character with fair bit of entertainment,” says Randeep. 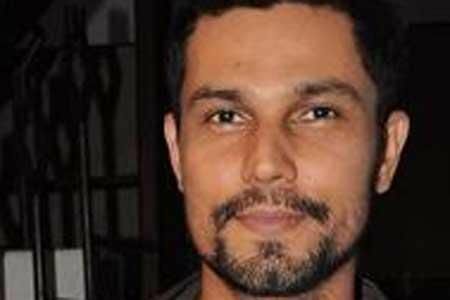 Randeep Hooda who plays a shooter in Vishram Sawant’s Shooter says that the film is about underworld yet has a romantic angle to it. Neetu Chandra plays his love interest in the film. “It has a romantic angle. It has a real love story very well edged out. Romantic angle – it has a real love story very well edged out. It’s differently portrayed. Usually love stories are pathetic but Vishram finds relationships within things,” adds Randeep.